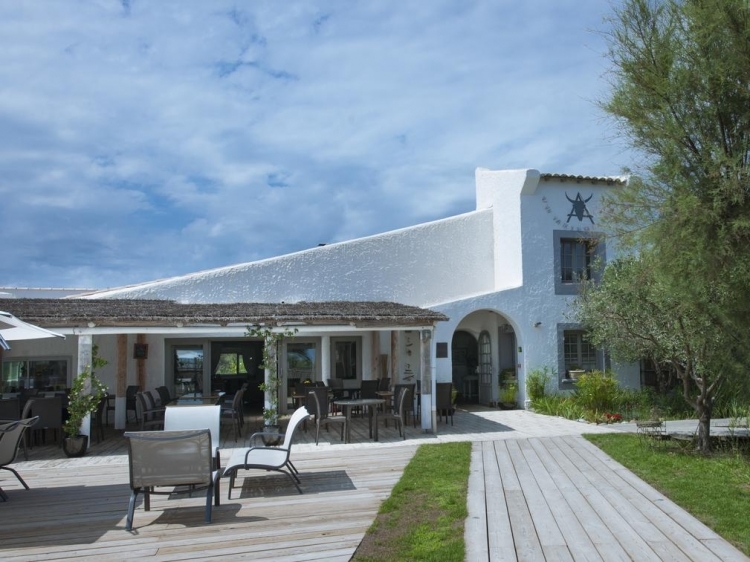 At Les Arnelles, it is nature that reins supreme, not the man made stuff. 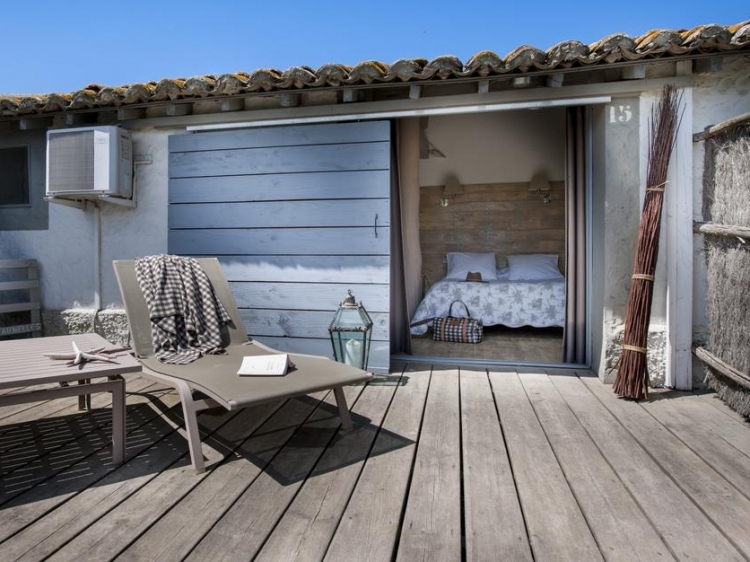 So if you’re simply looking to get away from it all, in breathtakingly beautiful surroundings Carmague style, and perhaps do a spot of horse riding (Les Arnelles has its own stables) then this is the place for you. 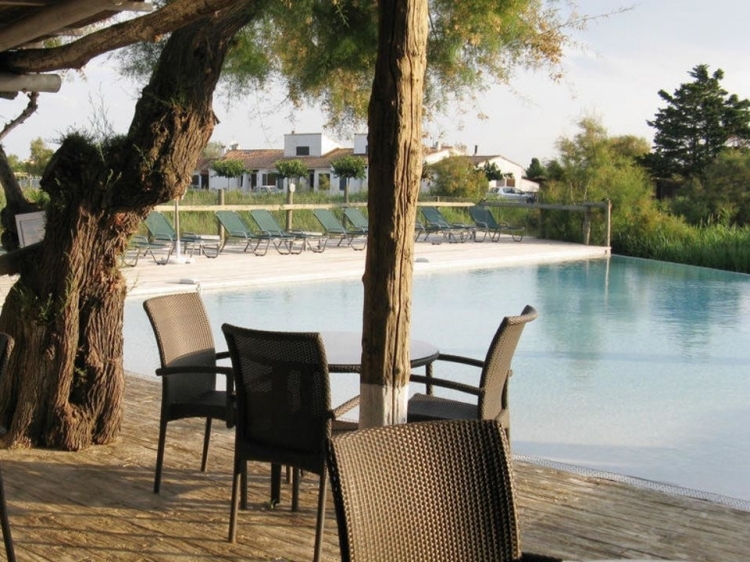 In short, Les Arnelles is anything but standard – a getaway from it all par excellence. Even the building itself is a homage to nature. Wood takes pride of place here – some of the walls and floors are made of it and the whole place fits in perfectly with the surroundings. The natural hues and tones go hand in hand with the furniture which, though simple, is superbly comfortable and help provide that Zen like effect – inside and out. 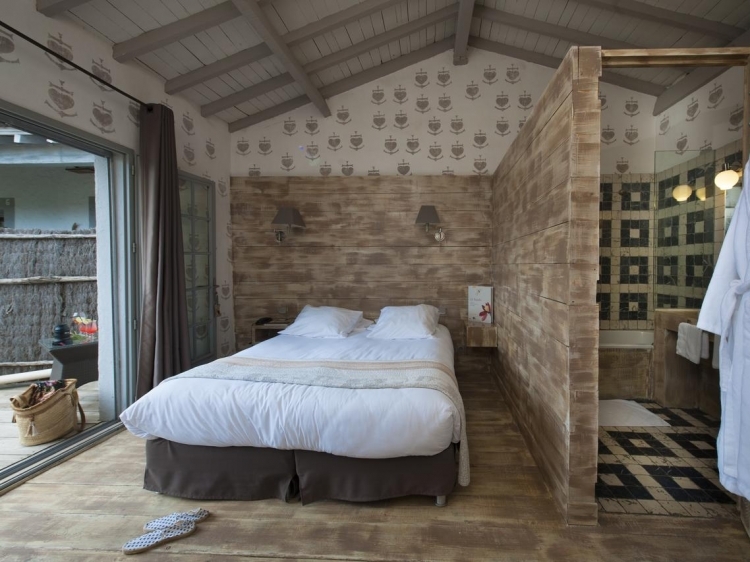 Les Arnelles also has 16 rooms and one 56 m² apartment. All are reached by wooden walkways and come with fantastic private terraces (again in wood), separated from the other by briar curtains. 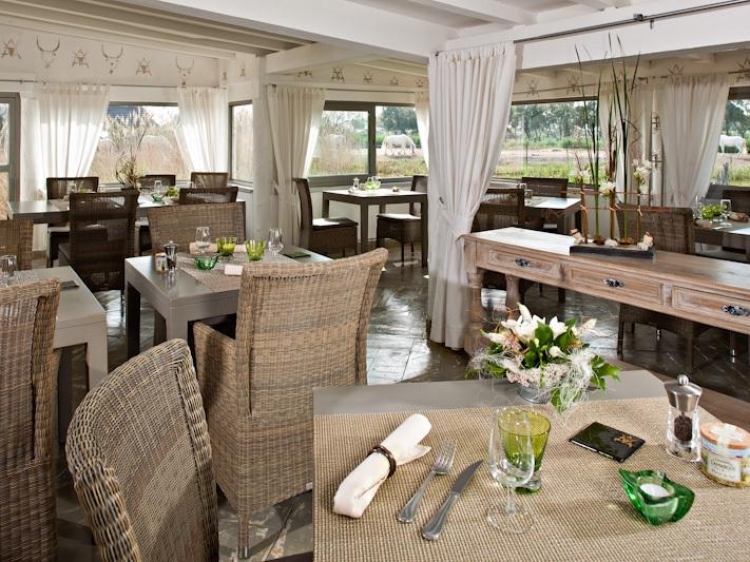 Wood furniture, beams, warm colours and soft lighting make each room a refined space, in direct communion with nature. 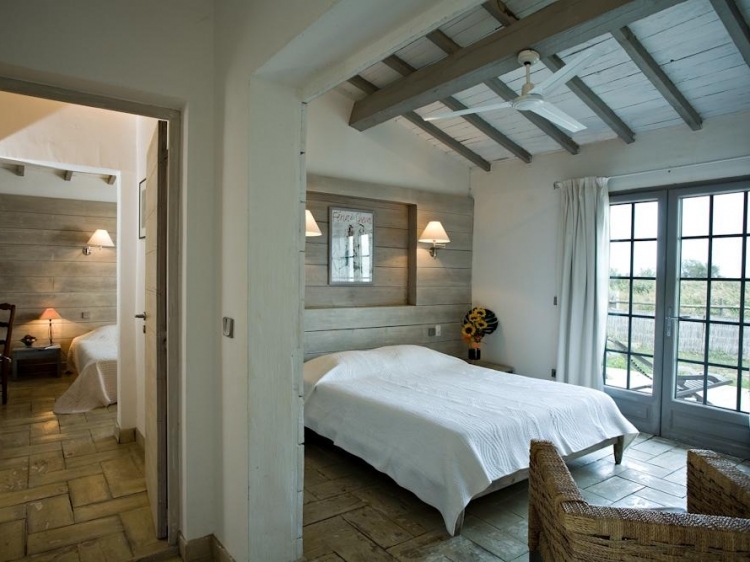 Les Arnelles is custom-made for a healthy and Zen vacation, far from the pollution of the city and daily stress. 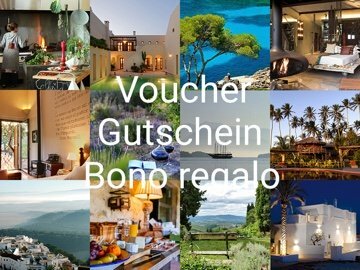 Sehr schönes Hotel, Toplage,Personal und Inhaber sehr freundlich und hilfsbereit. Auch einen Ausritt kann man nur empfehlen! Pasamos un día en el hotel de camino a Suiza. 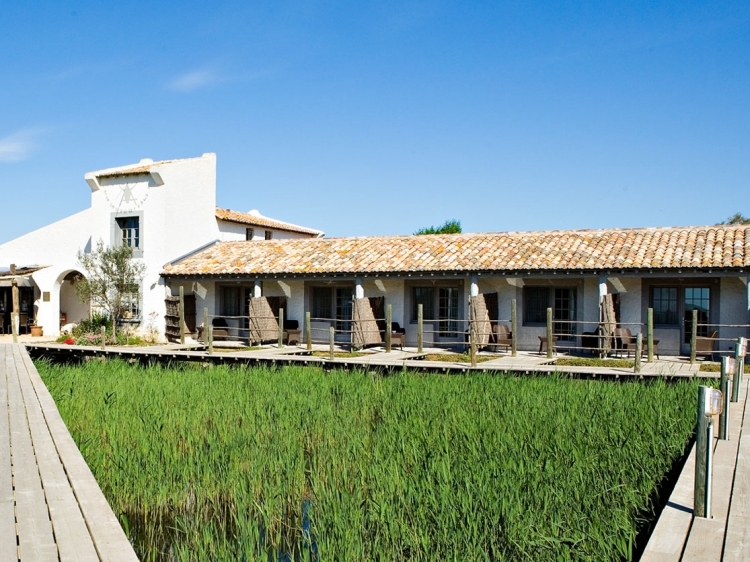 Es un lugar agradable para disfrutar del entorno natural de la Camargue. Muy bien integrado. La piscina se encuentra entre cañaverales y la vegetación de la zona, los sonidos de las te rodean como si estuvieras en medio de la marisma. Nuestra habitación estaba bien. Sencilla, con una terraza a pie del jardín natural. La comida excelente. Productos y vino del país. Bien y amablemente servida. Nosotros no pudimos aprovecharlo pero hay en el mismo recinto un centro en el que se organizan paseos a caballo, los típicos blancos de la Camargue, que creo que es una forma perfecta de descubrir un entorno natural muy especial y afortunadamente poco frecuentado. lugar muy bonito, alrededor de unos estancos típicos de la Camargue. personal amable y profesional. habitaciones pequeñas pero 'cozy'. buena la cena, excelente el vino. buena la posibilidad de reservar una vuelta para ir a caballo en el mismo hotel.